Dillon is an 8 year old neutered male. 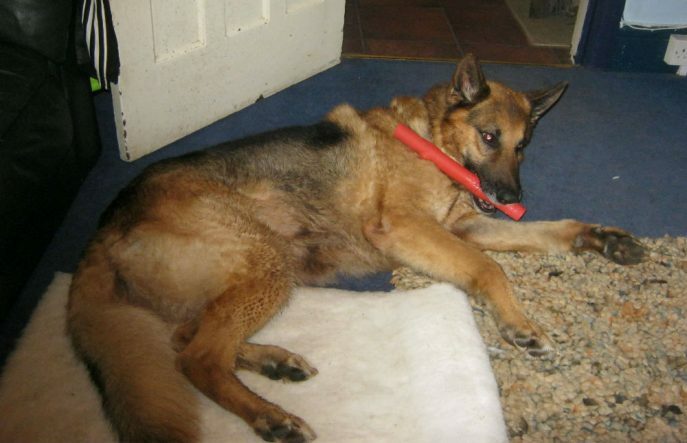 Dillon has been a working dog with the MOD and now needs a retirement home to call his own. He was with his handler, who could not keep him long term because of his working hours. We are told Dillon is good with children and most other dogs but can be off with other males. 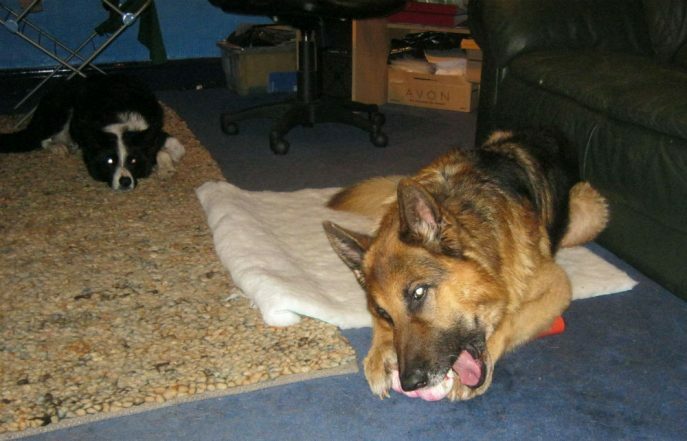 Dillon has never lived with another dog but has had plenty of socialisation. 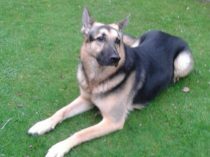 Our assessor found him to be very calm and obedient. 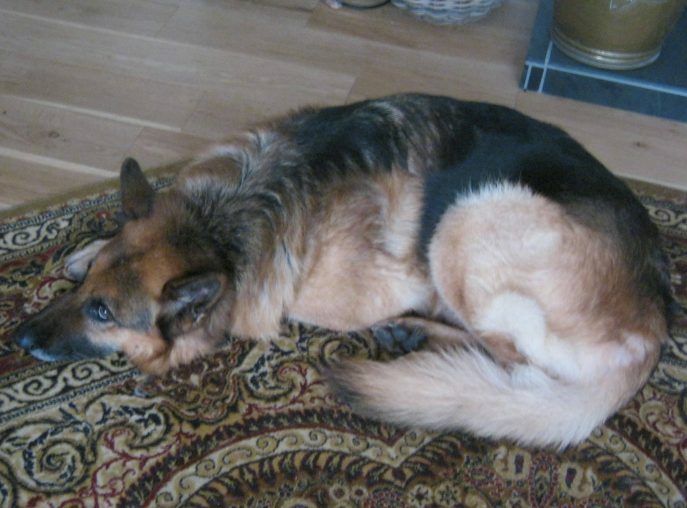 This lovely lad was happy to have his belly rubbed by our assessor and then gave her a kiss. 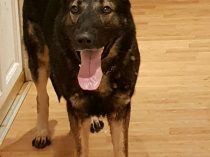 His handler is very sad at having to re-home Dillon but knows it is best thing for Dillion. Dillon can be a fussy eater but is currently happy on Royal Canin. 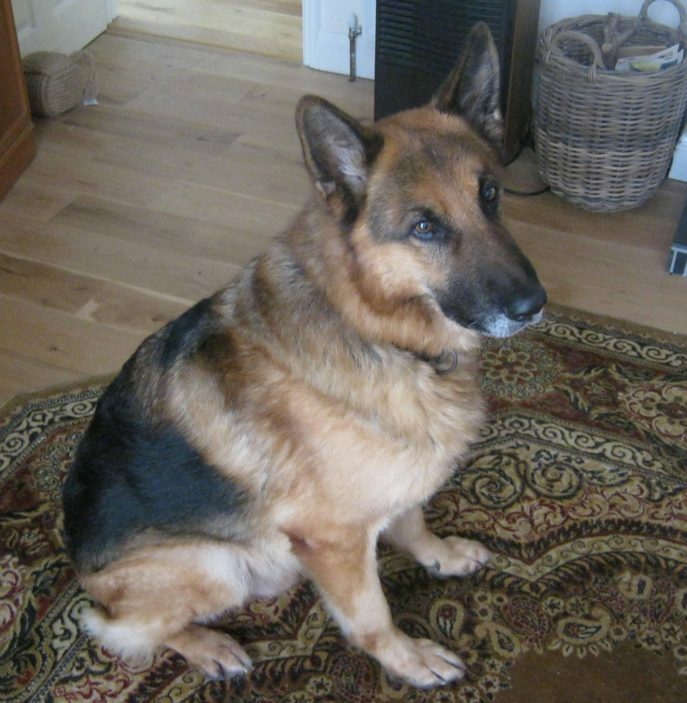 Now in foster, Dillon has settled in a treat with 2 other dogs and so has been the perfect guest. 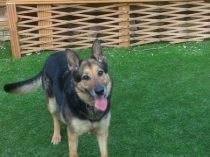 Can you give Dillon the forever retirement home he deserves? Dillon is now in his home with 2 brothers and a sister. 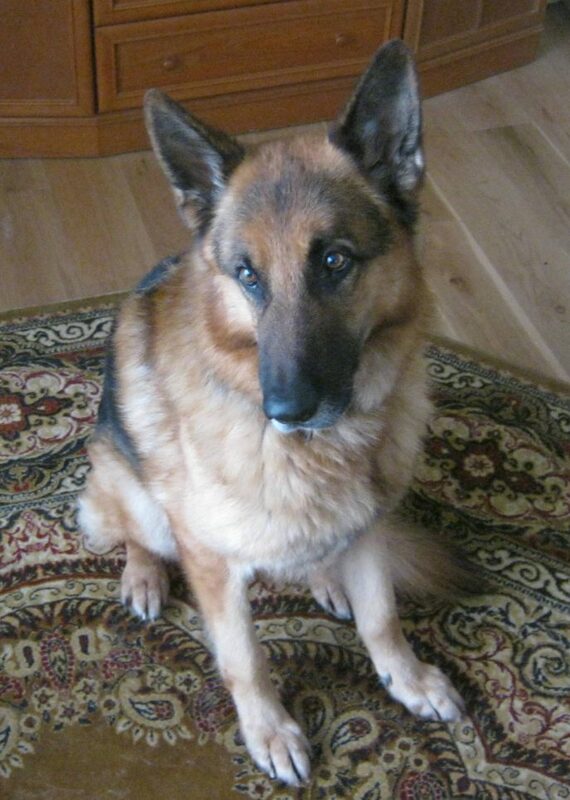 The lovely Dillon has run across Rainbow Bridge at a grand age of 12.